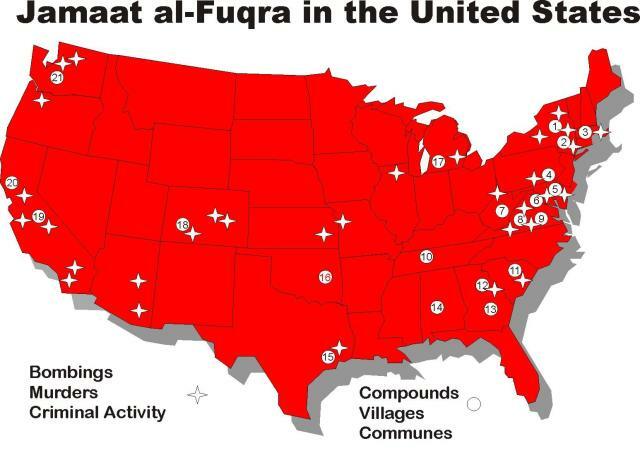 "These people (American Jihadist training camps known as "Muslims of the America's") are expanding, there are three dozen of them here inside of the United States. One was shut down in Colorado, one was abandoned in California. The one in California sat on three hundred acres of land and was called the "City of Baladula". It was finally shut down because the leader of that compound bilked the state of California out of millions of dollars for setting up a fake charter school scam. 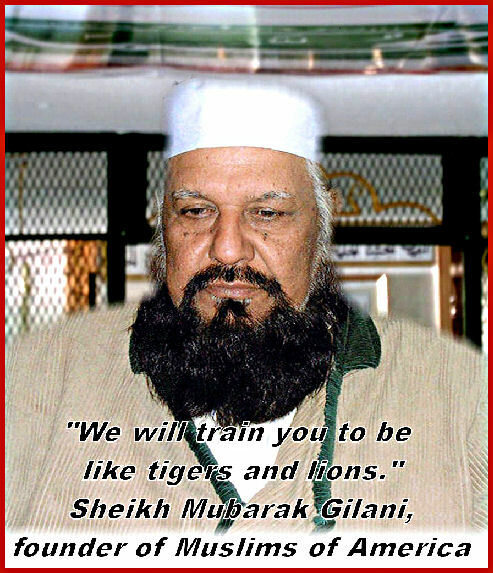 They are a very dangerous group, they produced a hour and a half video called "Soldiers of Allah" and in that video the leader of the group extends invitations to North American Muslims and says 'You are welcome to join the most advanced guerrilla training warfare camp in the world and you can contact us in Upstate New York, in South Carolina, in Pakistan, where ever we are'. So it's very clear it's right out of their own mouths what the purpose of these camps are". 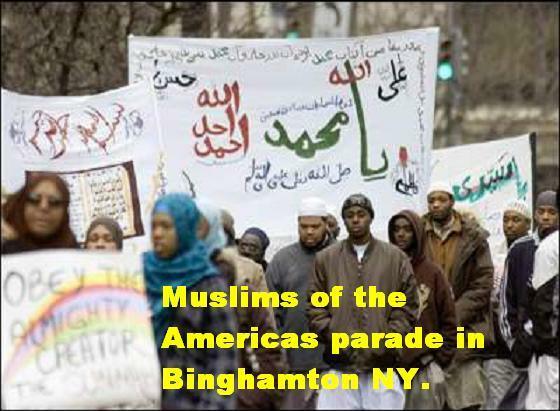 Syracuse.com (h/t Andrea K) The book takes aim at Muslims of America with false claims that have put the group’s members in fear of violent attacks from Mawyer’s followers, the lawsuit said. The co-author of the book, Patti Pierucci, is also named as a defendant. 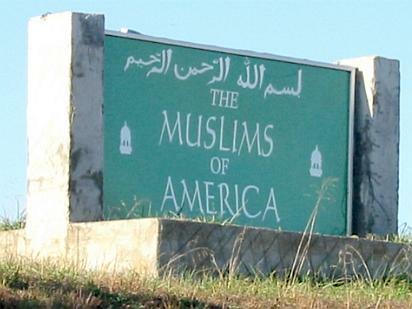 Muslims of America owns 60 acres in Hancock that the group bought “for the purpose of providing safe houses for American Muslims to raise families while establishing a peaceful community free from harmful elements such as those occurring in the inner cities in the 1980s,” the lawsuit said. 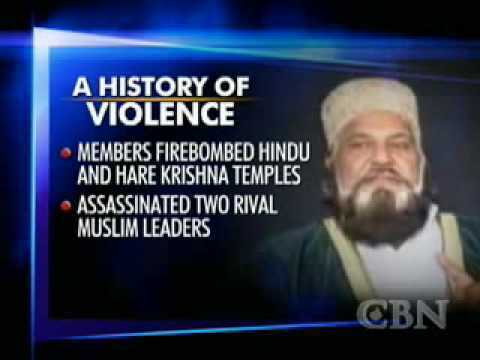 – In 2006, he had 2,500 leaflets dropped from a low-flying plane over a property owned by Muslims of America, protesting the naming of the private road leading onto the property. – Last November, Mawyer posted the address of Muslims of America in Hancock and encouraged people to go there and commit acts of violence and vigilantism, the lawsuit said. A lawyer for Muslims of America, Tahirah Clark, could not be reached for comment. Mawyer also did not return a phone call seeking his response to the lawsuit. Mawyer has appeared on NBC’s Today Show, Fox TV’s O’Reilly Factor and Larry King Live, where “he continues to spread various sensational, erroneous theories and presents them as fact,” the suit said. In addition to trying to stop the continued publication of Mawyer’s book, Muslims of America wants a judge to issue a gag him on him and his organization, and to order him to retract his previous statements.